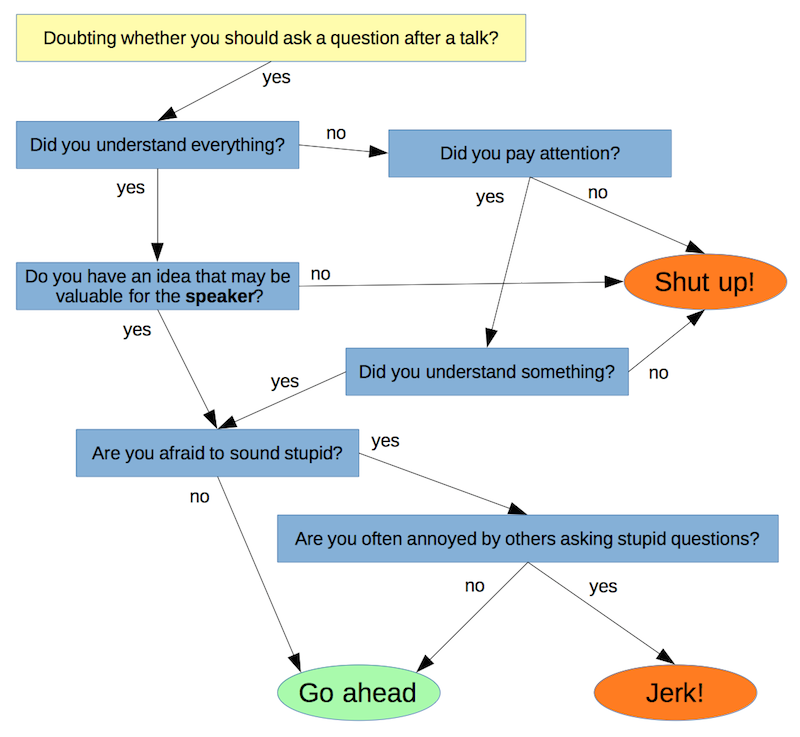 Via twitter, I saw a very cynical remark about asking questions after a scientific lecture with a flow diagram discouraging most people to ask anything at all. This does not at all correspond to my experience organizing symposia and conferences. Most of the time, questions are very welcome, and people are way too shy to share their visions. I therefore made a rebuttal in the form of the following flow diagram which I think is a better representation of the line of thought to follow.